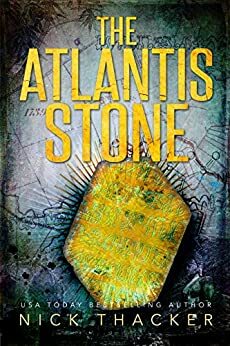 The Atlantis Stone - Kindle edition by Nick Thacker. Literature & Fiction Kindle eBooks @ Amazon.com. Want three free books? 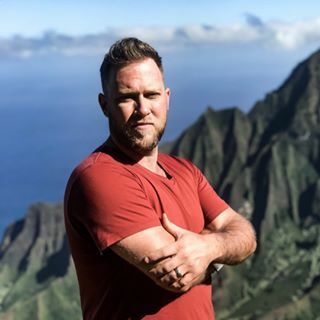 Just go to nickthacker.com/free-books and sign up! You know the legend... but do you know the truth? In 1791, two men began planning the layout for the nation's capital city. One is shunned and resigns in disgrace, and the other is all but forgotten. Years later, an original copy of the plans long thought to have been destroyed is found, with hastily marked notations by Thomas Jefferson and George Washington. During the second World War, American military scientists discover some fascinating properties of the hydrogen atom and its link to an ancient mystical number. The exact findings are never published, but a national laboratory is built in 1943 to further their research in covert silence. America is told it is a defense project, code-named The Manhattan Project. An ego-maniacal entrepreneur and his company, Vilocorp, will stop at nothing to build the perfect human specimen. His firm's research has been getting closer every day, but they seem to have uncovered a horrific, ancient secret that has been locked away for thousands of years. "Finally, his eyes were drawn to the floor. It was made of double-layer reinforced steel, and the only break in its smooth surface was a small square window, no more than a foot in diameter. The window was reinforced with vertical steel bars a few inches apart." HUH?? Double-layer? How would you know that? Small square Window? In the floor? A foot in diameter? Diameter usually refers to a circle, not a square. Vertical steel bars? Bars would have to be sticking out of a window on the floor to be verticle. I'm usually not to picky about insignificant details but the authors ability to cram that much nonsensical detail into a few sentences did not give me much hope for the rest of the book, so I just gave up. So this book tries to rip off Dan Brown novels. That's fine, a lot of books do. The trouble is, this author cannot write well at all. The dialogue is painful, disjointed, unreal. Characters phase in and out of established behavior because the author has only one tone for every one. It's be nice to read dialogue without endless sentence fragments. Because, it's like, if I can say, really hard to, in certain occasions, follow a line if it's like this. Have seen specials on TV about the lost continent of Atlantis and read Plato’s book on this. Read the book a long time ago and after I finished this book I want to read Plato’s work again. This book was a bit of a struggle to get through until the characters reach the last place they need to look for the stone. You have to pay attention to what the characters say and do. If you do this you will be able to figure out most of the ending. The book is about power, knowledge, greed and inhumanity. The power is that the ones who want the stone not only want great power but the power of God. Even though some of the characters have power and money, they want more and will do any inhumane act to get this power and greed. Did not agree that the stone was man made but more of a test form God that all fail to pass. I did like the description of what happens to someone when they get this power and knowledge. That seems believable to me of what would happen when you get what you ask for. The book is not preaching but just gives a valid point to being too greedy. I do want to read another book by this author and hopefully it will not be slow in telling the story. 5.0 out of 5 starsPuts your brain in gear! First off, I liked this story. The plot was intricate, weaving in and out just enough to not lose you like some writers do. I felt sometimes there were too many characters to get into but as the story line went on, each one became more familiar to me. It starts out in the 1800's and tells a very interesting story and then we are transported to the present where the story changes, seemingly drastically. There are many characters introduced before we see how that they are weaved into the story. Hang in there, it gets clearer and clearer as you go along. Basically thought, there are two groups of people after the same thing, the golden crystal. (I won't spoil it for you in why they want this crystal.) In looking for this crystal, they will travel to the Great Pyramid in Egypt where the good guys again run into the bad guys but this time there is a hellacious fight between them. In fact the fight seems unbelievable in that the security there would not ever permit this kind of thing but this is fiction and so for the sake of the story, we move on. A secret spiral passage was discovered which caused the good guys to head to Petra with the bad guys following soon after. More battles to come and the plot thickens. I really liked all of it, hence the 5 star rating. The author has some crazy good ideas and his way of writing just draws you in. I believe that his next books will be even better than this one. Just don't read this one without your thinking cap on. While the plot is interesting and may be very good , I could not handle the conflict of statements and that some do not make sense. For instance , street lights on a windy desert road? Maybe so, but it should have been developed as that seems very usual . A character finds himself in a locked room, looks down at the floor and sees a window with bars. Next paragraph he looks up at the window . Misuse of military term. This kind of stuff just doesn't work for me . I will say, I didn't read very much at all so maybe it gets better . Hopefully . The plot was intriguing . 4.0 out of 5 starsBad and slow start to a great story! What does Easter Island, The Pyramids of Giza, Petra, and Angkor Wat have to do with the Lost City of Atlantis? Nick Thacker's adventure thriller tries to answer this question. Three different scientists/archaeologists fight for the control of "Al-Bal'laorah Al-Qadeem" or "Ancient Crystal." This crystal is supposedly the source of extreme power and enhancement of human beings, so powerful that the founding fathers of the USA tried to hide it from the world. Dr. Tanning Vilocek, James Whittenfield, Jr., and the Egyptian Madu Jibari lead three competing forces in search of the crystal. Their task leads them through Easter Island, The Pyramids of Giza, Petra until the greed causes most of their demise. The book is written from the third person point of view. The first few chapters are a disaster -- confusing and in complete disarray. Once you get past them, the story takes a new life of its own and the book reads well and fast. I'm happy I was able to get through the stormy beginning for I enjoyed the book a lot. Perhaps a good editor can fix the prose of what is a wonderful story.